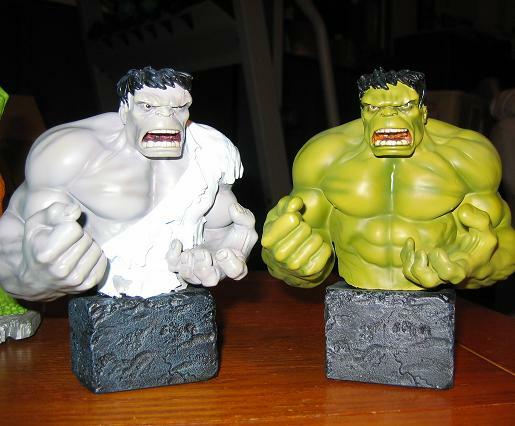 Randy Bowen has outdone himself here with these two extrordinary busts. 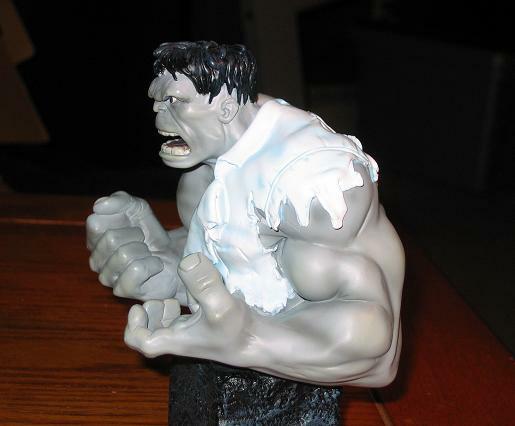 Each sculpt mirrors the first appearences of the Hulk – the Grey Hulk with his ripped shirt and scowling mug – and the Green Hulk witht he same scowl – but bare-chesting it! So, until I move this weekend I will not be able to make any posts. I will be back, hopefully by next week to show you more of my stuff. Take a look around the site – make comments – I really enjoy the comments – even if they are from Corry. 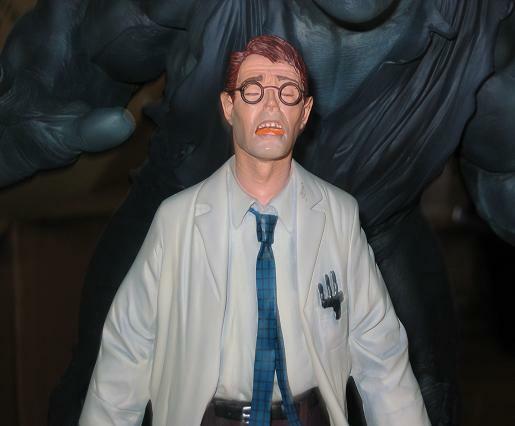 When I return I will have a bunch more stuff to show you – including the new Bowen Busts, the Planet Hulk Bust, a great bunch of comics (including one of the original 6) and a couple of statues. That’s including anything else I may find in my travels. 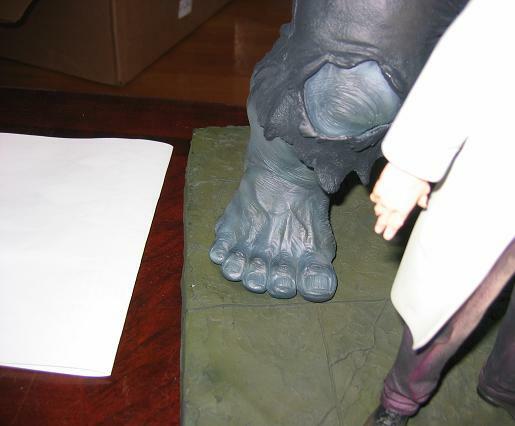 Every time I opened a new part to this statue I just kept saying “Wow!” or “Holy crap!” This enormous statue is a little bigger than the Bowen Green Hulk and re-creates the cover to The Incredible Hulk #1. Even the backing of this statue is jaw dropping. 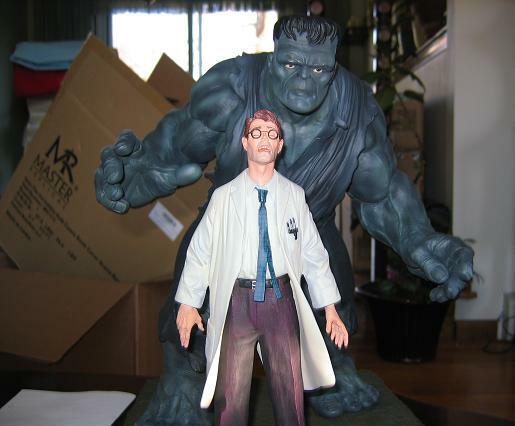 Let’s start with the fact that you receive 2 statues with this piece – A Hulk, of course, but also a Bruce Banner. 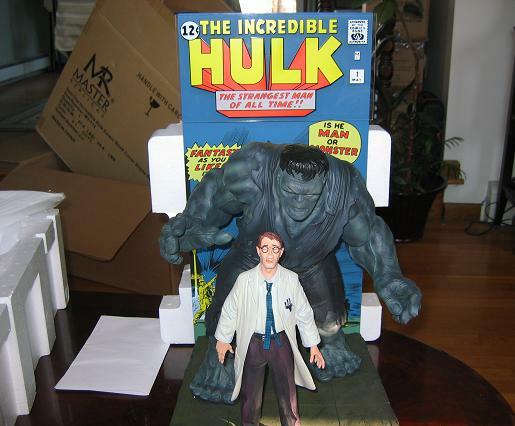 Such detail went into this piece that they even made a wristwatch on the arm of Bruce Banner, underneath his lab-coat, you can’t even see it when you look at it dead on! But it’s there! The size of this piece is awe inspiring. 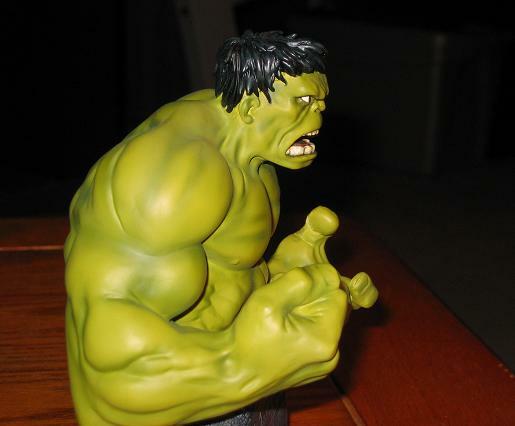 The Hulk, very Frankenstein-ish, looks just as he did when he first appeared, right down to his dead yellow eyes. 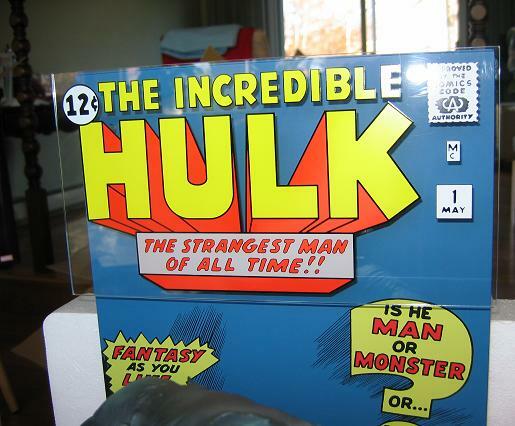 I can’t say enough great things about this piece – and in a year that has had some great Hulk statues – that is saying a whole lot! It is limited to 2500 and this one is #423. 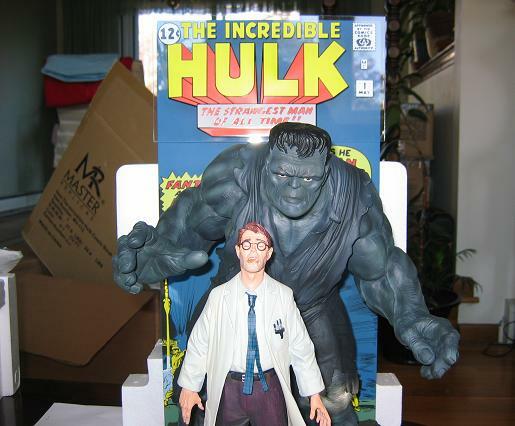 I bought this statue off ebay and got a really good price for it. 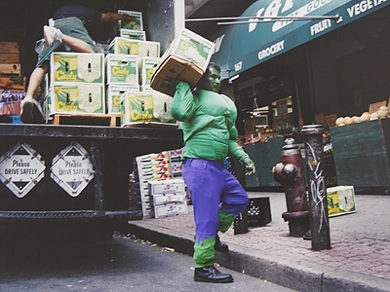 If you pick up one Hulk piece – then you’re crazy. 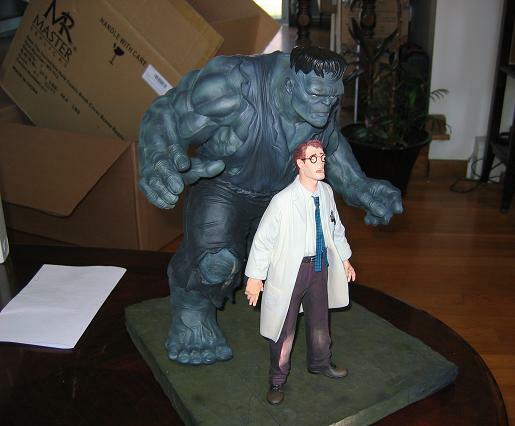 You need this statue, but then again, you need them all! 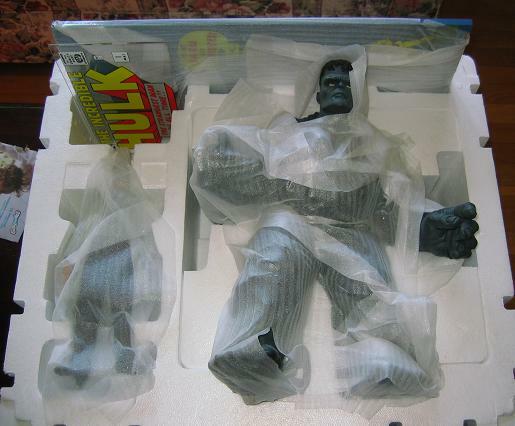 This statue comes in 4 pieces – packed away so nicely, it’s almost a shame to rip them out of the Styrofoam. 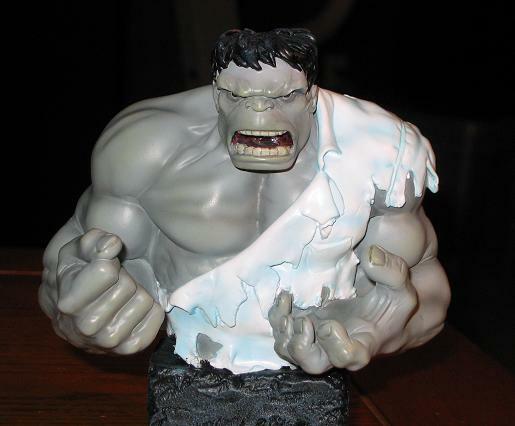 I wasn’t sure if I was going to pick this piece up anyways – wasn’t sure because of the recent surge in Hulk merchandise recently (and the movie merchandise hasn’t even come out yet! Sheesh!) 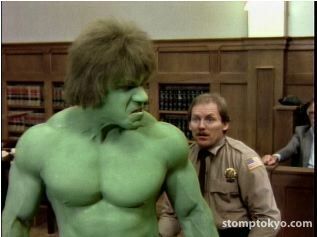 and of all of the sta – wait did I just say “Sheesh”? Oh, crap I think I did – of all of the statues that have come out recently this was by far the least impressive. 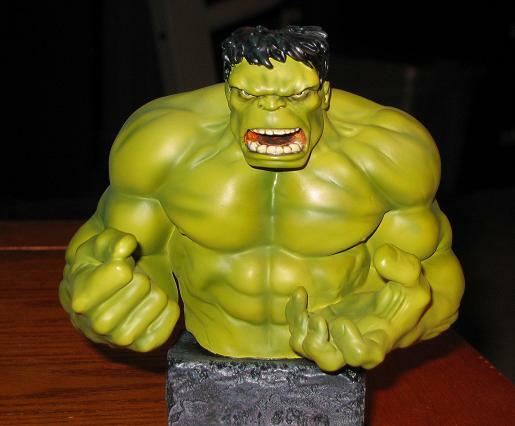 I was probably going to pass on this statue anyways, so it doesn’t really affect me – but I know alot of Hulk fans out there are crying out in pain right now. 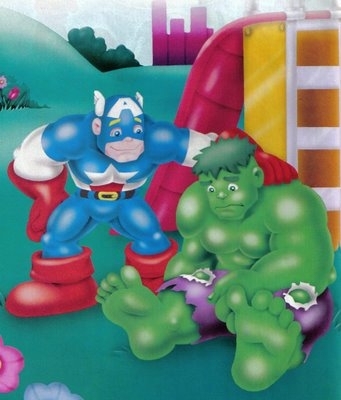 Sorry bros.
YOU CAN ACT LIKE A MAN!!!! Doesn’t this make you want to tear your hair out!